The presidency has released full testimony Vice President Yemi Osinbajo gave at a Thanksgiving Service on Sunday after he survived a helicopter crash. His spokesman, Laolu Akande, in a statement on Monday quoted Osinbajo as saying: “We came in very late from Akwa Ibom State. In fact, we arrived just in time for the grace at the end of the service. “He then said, I am going to pray for you. He said a prayer that turned out to be very interesting because usually, as you know, he doesn’t pray for long. “He said “Lord God Almighty, I want you to protect this man,” He said it three times and paused, then he continued. “You know how very dear he is to my heart. I want you to protect him.” I found it very funny that he repeated it several times and then he prayed for favour and other things. The VP also called up members of his entourage who were with him in the Chopper and who were in the church to join him at the altar. 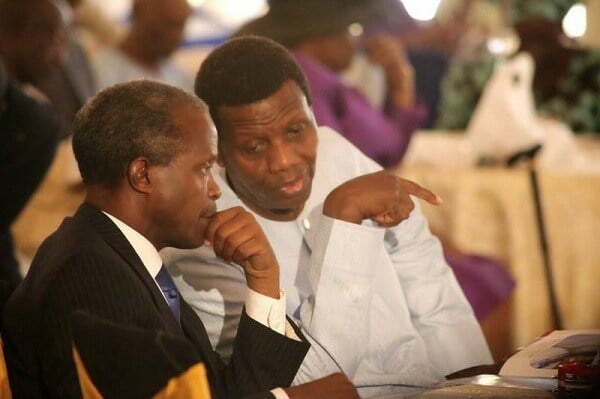 They were: Labour Minister, Stephen Ocheni; & Mr. Femi Osinbajo, VP’S elder brother. He also called the names of Senator Babafemi Ojudu, Special Adviser; & Ambassador Abdullahi Gwary, SSA Foreign Affairs/Protocol – although both of them were not in the service. Others are Mr. Laolu Akande, the VP’s Spokesman; Dr Biodun Adelowo, Personal Physician; Mr. Doyin Adetuberu, Security Officer; and Ayoola Oladunni, ADC). Osinbajo added: “This is my older brother, the same father, same mother. Our father passed on long ago, but our mother is alive. If both of us had lost our lives on the same day, that would have been an absolute tragedy, but God saved that from happening.